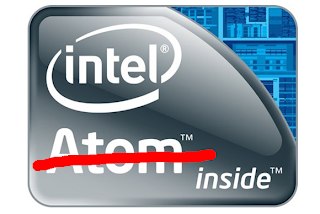 According to Digitimes, the Atom brand is living its last moments, and it will not be missed. We made no secret of our disdain for Intel's lack of creativity regarding the Bay Trail branding. The new out-of-order execution and beefy HD graphics have nothing to do with the previous Atom architecture. There's room for a low power yet exciting naming scheme.